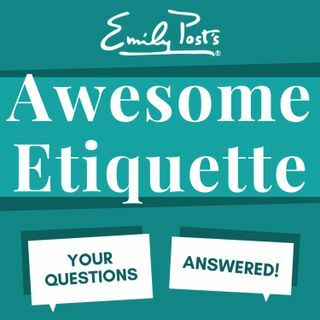 We take your questions on eating freely at parties, major shoes off disrespect, turning a family gathering into a baby shower, and a coworker who is seeking spoons. Plus your feedback, etiquette salute and a postscript segment from How to Behave Though a Debutante. For sustaining members your extra question of the week is about destination and second weddings gifts.